Remember your childhood idol? Remember that person you looked up to more than your own parents? And remember how you wished you could grow up to be your hero? I do. My hero was amazing. At everything. A gifted athlete and an amazing person off the field. My hero had skills and traits I wished I had. A player that seemed to defy what humans can physically accomplish. That player was dominate in a way few were before, and in a way almost none will be after. There was only one person I wanted to grow up to be like. As my admiration and pride grew, something much more unsightly was also growing. Rumors. Rumos of doping. Rumors of cheating. Rumors of PEDs. Rumors of a secret, lascivious life. As I defended my idol’s honor and performance, my idol viciously defended their reputation and career. I soon found myself in the minority. Everyone else resigned to the fact that my childhood hero was, in fact, a cheater. My idol was convicted in the court of public opinion, but I remained resolute. Then the unthinkable happened. My hero got caught. My hero confessed. My hero was proven guilty. Shattered doesn’t come close to describing the emotional wreckage that was left behind. I was heartbroken. Before long, I was an adult and my “hero” was a story reserved for cocktail parties and get togethers. No longer a hero, but the punchline in a late night show host’s opening monologue. My hero, and the hero to dozens of other kids, was Tiger Woods. Lance Armstrong. Mark McGuire. Sammy Sosa. Marion Jones. Take your pick. Despite all the alleged doping and cheating in professional sports, I have remained a fan of my teams. Specifically, the Seattle Seahawks (who haven’t been without their doping allegations). The Seahawks had a stretch, ending with the Holmgren era, of almost unwatchable football. They were even the first team in the history of the NFL to head to post-season with a losing record (and despite most feeling like they didn’t deserve to be there, they beat the defending Super Bowl champion New Orleans Saints). As the Pete Carroll era began, we had a new hard-nosed defense, and a heck of a ground game on offense. The city, the state, the region knew they were within one franchise quarterback of being a contender. He was drafted in the third round, passed over by so many because he was “so short” for a quarterback. His name is Russell Wilson. Wilson was given the keys to the offense before the end of the pre-season, a move most experts considered crazy. Pete Carroll knew it wasn’t crazy, he knew he had a special player. As early as Spring Minicamp, Carroll had inclinations about who his starting quarterback would be that fall. My son is 10 years old, and as we watch games together, I encourage him to look up to Wilson. Wilson’s leadership, work ethic, charm, faith, and professionalism are to be admired. If I could pick anyone for my son to look up to (other than me) it’d be Wilson. But Wilson is a man. A Human man. Although we may not see it, he most likely has his flaws, just like you. Just like me. And that’s just fine. I will teach my son that heroes aren’t heroes because they are perfect. 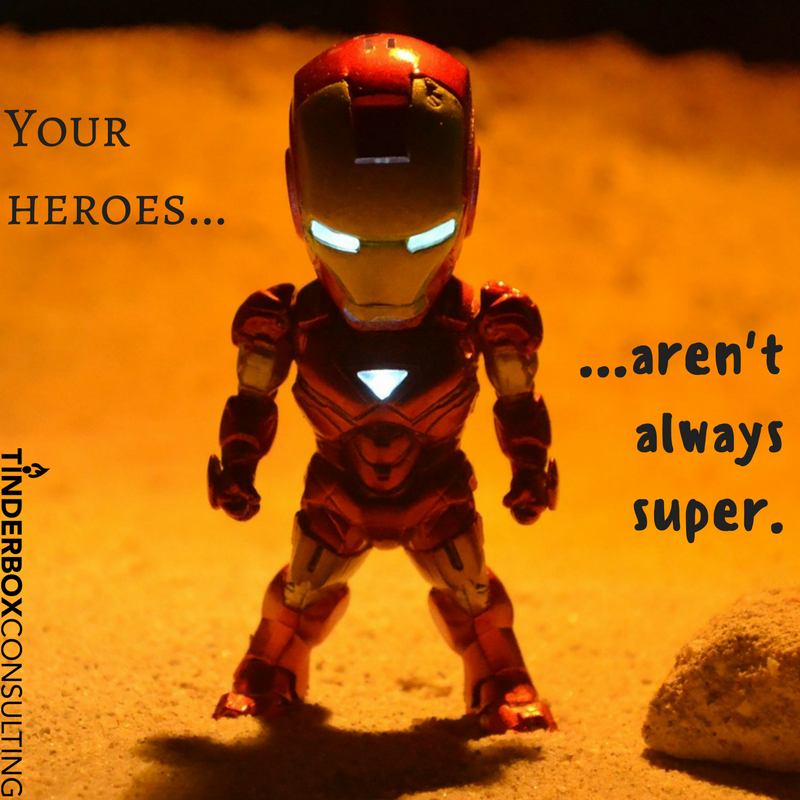 They are heroes because they encourage those around them to be the best they can be. They are heroes because they speak up for those who can’t speak up for themselves. They are heroes because they possess skills and traits most people wish they had, but the humility and gratitude to go along. They are heroes because they tell the truth, even if it means admitting to cheating. They are heroes because they reflect qualities we find in ourselves. Russell Wilson, you are an amazing leader and a gifted athlete. If I could ask you for something, it would be for this: be transparent and be yourself. You will be tempted to achieve more than you can and to break rules to find success. Please don’t. Adapt, learn, and grow as that amazing leader. As my step-dad is fond of saying, “work smarter, not harder.” And if, in the end, you stumble or fail – if you make a mistake or miss the mark – be transparent. We will forgive you. God will forgive you. But only if you have the courage to admit those mistakes. Because that’s what makes a hero. Charles Barkley once said, “I’m not paid to be a role model, parents should be role models.” I want my kids to think of me as a role model and I will do my best to live up to that responsibility. I will also encourage them to have other role models. However, I will teach them that even the most admirable people are still human and cannot be perfect, and then when their idol makes a mistake, that they will be forgiving.